Nintendo’s Labo kits do things with cardboard and electronics that feel like practical magic, but the construction process is the equivalent of overcoming a half-dozen small mountains. Building Labo Toy-Cons isn’t stressful or scary so much as it’s mysterious. You’ll spend a decent amount of time putting pieces together while wondering what they’ll do exactly, or even if they’re going to work when completed. And then you get that moment of joy when it all clicks into place, both literally and figuratively, and you get to marvel at the cleverness of the design. You always know what the next step is, and you know what the finished product will look like, but the journey itself is often full of surprises. 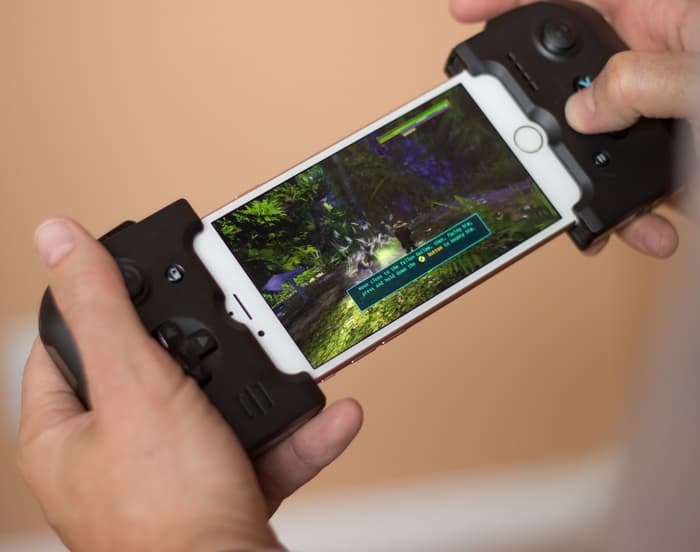 Sure, other companies have tried variations on this idea in the broader DIY universe, but as with so many ideas, Nintendo executes in a way that transcends the competition. Labo is a success due to dozens of great tweaks, big and small. You can choose between the Variety Kit or Robot Kit at launch, depending on whether you’d like to make a series of small, interesting toys or one big wearable mech. The Variety Kit is $69.99, while the Robot Kit is $79.99. Each package comes with a standard Nintendo Switch cartridge as well as a series of flat-packed cardboard sheets and a small bag of doodads. The software is arranged into three sections — make, play and discover — for building a kit, playing with it or digging deeper into what each one can do. The on-screen instructions walk you through exactly what you need to do to build each toy, and this is where the joy of Labo begins. 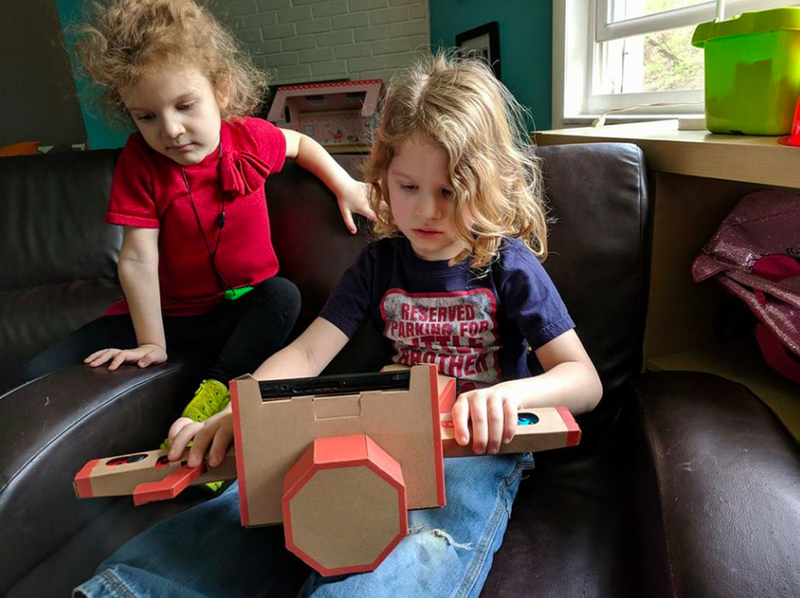 Creating Labo kits isn’t hard, but it does take a lot of focus and patience. Let me underline that word: patience. The step-by-step guides can be controlled using either a Joy-Con or the Switch’s touchscreen, and you can move each animation backward and forward as many times as you need, allowing you to see what to do next or return to a previous bit of instruction. You can also move the camera in any direction or zoom in and out to get a sense of each step. The text on the screen is helpful, lighthearted and often funny in a goofy, dad-joke kind of way. It will cheer you on and make sure you don’t get too upset if you make a mistake, and will also remind you to take breaks when you might get frustrated. Walking someone through a complex task without being in the room is an incredibly tough nut to crack. Labo does it so well and with so much charm that it seems effortless. This aspect of the kits will likely be invisible to the folks who have an easy time building their contraptions, never having to consider the alternate universe in which the build is joyless and frustrating. The tutorials, in this way, are an impressive feat of design, writing and execution. Excellent tutorials are necessary, considering that some of these kits can take upwards of three hours to assemble. That’s an impressive amount of time to spend folding cardboard. The good news is that the construction time is relatively frictionless; the perforations on each sheet mean that you don’t have to cut anything, and the pieces are so precisely manufactured that they slide together and lock tightly in a satisfying way. 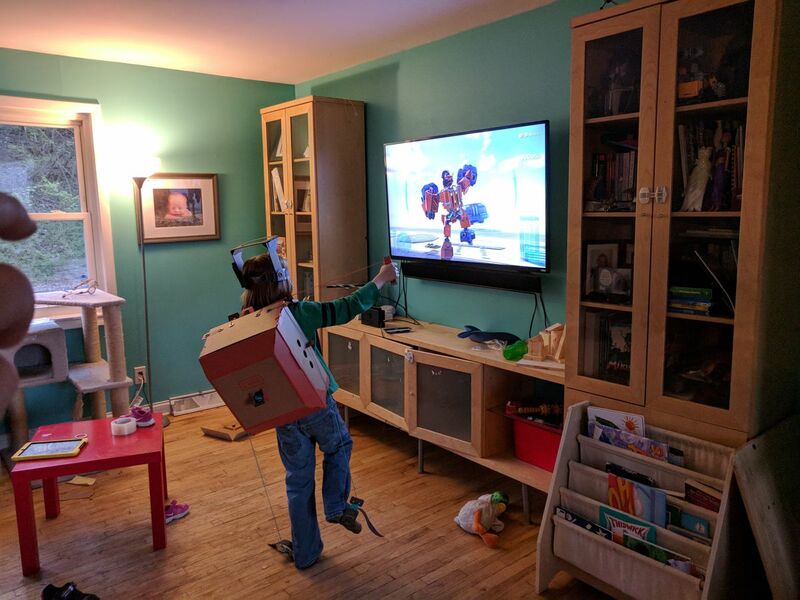 My children and I fell into an oddly quiet, meditative state when constructing Labo, which is a rare treat when it can be so hard to get them to focus on anything for more than a few minutes at a time. 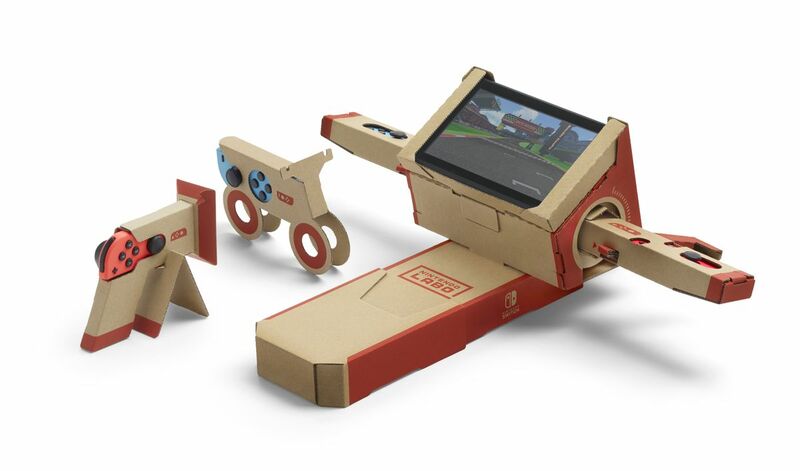 Some parents may quibble that Labo is still screen time, but I’d say that misses the point. Labo is about using your hands to construct something in the real world, and doing so remains enjoyable through the whole process. I’m particularly smitten with the end result, namely how Nintendo manages to capture the joyful feel of its software in a physical object. A key turns with a satisfying amount of tension before zipping back into place with a gratifying snap. Nintendo understands that both weight and feel are important, and so many of the pieces are designed to fold over and over onto themselves until they no longer feel like flimsy cardboard. The actions of twisting a motorcycle’s throttle or tapping the keys of a piano feel distinct from each other. They convey specific feedback to the player, even though all of Labo’s interactions are handled through some combination of cardboard, rubber bands, stickers and string. Along with the creation of each object, there’s the fun you have playing with that object. The motorcycle provides a simple but effective racing game where you turn by tilting the whole contraption. It’s Wii-like, a playful imitation of the real thing. My kids adored it as a video game, and played over and over with a sort of eerie seriousness that I rarely see with toys. The piano was also a big hit, offering more depth than you’d assume at first glance. 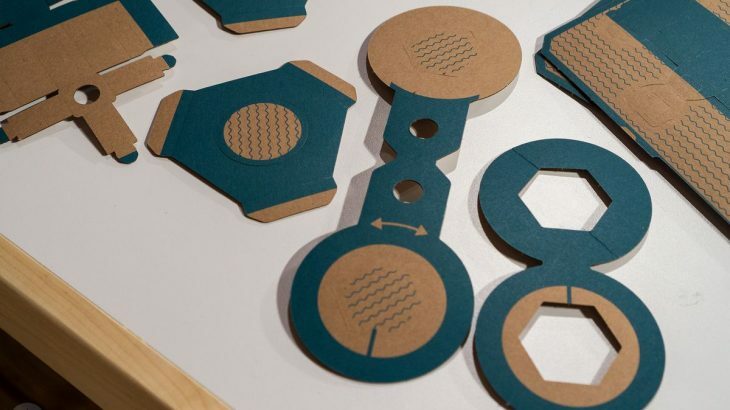 The kit includes a collection of recorded voices that can be changed and adjusted by dropping cardboard pegs into the top of the piano or by twisting them. They’re accompanied by a robust multitrack recording studio. The toys don’t really come with instructions. The fun comes from experimenting with the thing you just built to see if doing something with the contraptions in an unexpected way is somehow rewarded by the software on screen. Spoiler warning: It almost always is, and you could write an entire article about the ability to program your own interactions using the software’s built-in tools to craft your own new games and toys. The interactions with each toy range from being so simple that any child can get some enjoyment out of them, to so complex that it would likely take a teenager or adult to get the most of the features. But it doesn’t really matter how you play with Labo — there’s no right way. It’s only been a few days, and the wider community has already begun to make some interesting stuff with the kits. The pre-designed Labo toys may lean on novelty, but the Labo platform as a whole is versatile and deep. The discover section in the software will teach you how each kit works, in language that’s easy to understand but not frustratingly simple for older kids and adults. 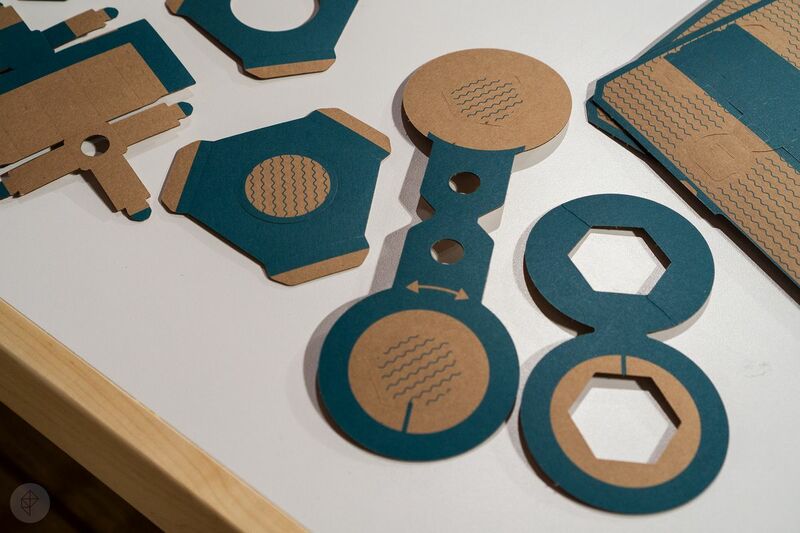 Saddling the Labo with an “educational” tag feels almost like a punishment, but anyone who puts together one of these kits and explores everything they can do will learn something. Education is unavoidable, like vegetables cooked perfectly into a decadent dish. Although we haven’t had time to fully explore each piece of software, my children are way more interested in the Variety Kit than the much more complicated Robot Kit. Wearing the backpack and manipulating the arms and legs can be a bit tricky when the software doesn’t seem to do exactly what you’d like it to do, and adjusting the size on the foot pieces is more frustrating than it needs to be. That’s the sort of photo I probably wouldn’t publish with any other review. My fingers are in the shot, for one thing. My living room is an unholy disaster as well. The lighting is all off. But I snapped that image with my phone because it was the sort of unexpected moment of discovery and play that can be so rare in day-to-day life but that comes so often with Labo. The $69.99 price feels low when you look at how much there is to do with the Variety Kit, and the number of toys you can put together and customize even before you dig deeper in the discover section. Nintendo isn’t competing with anyone else with Labo, and it’s the sort of thing that is only possible due to the design of the Switch hardware itself. Delight is a challenging emotion to inspire in games, consumer electronics and toys — and Labo is some unholy combination of the three. And yet, Labo is full of delight. It’s cardboard, sure, but it’s stuffed with the best sort of intangible stuff. And it’s meant for everybody. This is a product that will appeal to young children, potheads, makers and teenagers. Nintendo’s uncanny ability to offer experiences that are so strange while feeling so good has rarely been put to better use.